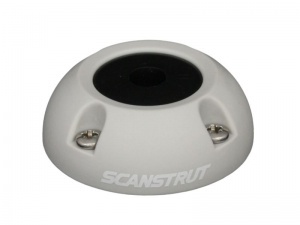 This cable seal from Scanstrut provides the ideal solution to waterproof cable routing through decks and bulkheads and is perfect for installing antenna and navigation light cables on boats. 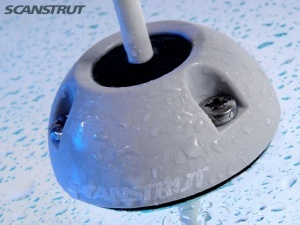 A tapered gland forms a watertight seal around the cable and a closed-cell foam gasket between the housing and the deck ensures a 100% watertight fitting. 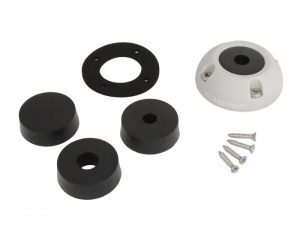 All fixings are 316 stainless steel to resist corrosion in marine environments and the housing is made from tough, impact resistant plastic with rounded edges to prevent catching on ropes. The unit is supplied with both split pre-drilled seals (to fit cable with 9-14mm diameter) and a blank seal for self-drilling. The split seals mean that there is no need to remove pre-fitted connectors which can be up to 30mm diameter and still pass through the housing. Max. 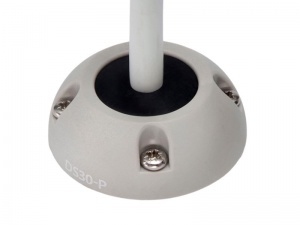 connector size that can pass through housing: 30mm dia.